Search Engine Optimization is an art through which we attract inbound links and get our website ranked on SERP. There are lots of free SEO tools are available on the internet but only few of them are useful and essential for every blogger. So today in this post I am going to share a list of best SEO tools which will definitely help you to rank your site on the top of search engines. The distinguishing factor of SEO is that it’s the best medium to drive organic/ relevant traffic to our website. SEO can technically be categorized into two parts On-page and Off-Page SEO. On Page SEO is all about how we optimize our website for search crawlers and for better user experience. Whereas Off page SEO is about marketing. A smart marketing strategy has to be implemented to get high-quality inbound links. With Google tweaking the search algorithm makes SEO a nitty-gritty game of search and keywords it’s obligatory that you start using the below SEO tools for better online visibility. Bulk Backlink Checker - This tool gives you a list of backlinks that points to your site. With the paste URL feature, you will be able to find 400 backlinks pointing to your website and up to 100,000 urls from a file upload. Compare Tool - With this tool, you can compare 5 different domains. Clique Hunter - Clique hunt helps in finding all the cliques that link to different domain. Keyword Checker - It helps in finding high value keywords, their search volume, and competition. Google analytics is the very first blogging tool which evryone uses. Regardless of what kind of enterprise you run, if you have a website and expect online conversion then its necessary that you create a Google analytics account. Google Analytics is one of the best free online SEO tools we have that helps to track information about how people interact with your website. This tool is so crucial while doing search engine optimization. It helps to track how well your articles are performing, and from where you are getting incoming traffic. The analytics also helps to find the strength and weakness of your website. Google Analytics is one of the best Google SEO tools we have now a days. Page Views - Page views are the no: of times people viewed different pages of your website. Bounce rate - Bounce rate helps in knowing how well a specific page is performing in terms of incoming traffic. A low bounce rate is better. High bounce rate says that the page is not adding value to the inbound traffic. An attract design and a well structured intro (first paragraph) likely reduce the bounce rate. New visits - As a business, it is necessary to make sure new customers are visiting your website, and you are getting traffic from different domains. As the no: of new visits goes up it sends a message that your marketing strategies are effective in bringing new prospects. Audience - It helps to go deeper into the insight of target audience. This option helps in getting information about the visitor's demography, interests, country, the technology they are using, online behavior, etc. SEMRUSH is mainly used by different SEO agencies and online marketers for optimization. The most important advantage of semrush is that it comes in aid for content marketing. Content marketing is one effective strategy that helps to distribute your content and attract more traffic to your website. Find Keywords - With this tool, you can find keywords for which your competitor is ranking. Once you found those keywords you can create interesting article around those keywords. Trend - This feature will allow you in finding the trend pattern for a specific keyword. If the trend pattern for a specific keyword is going down then bidding on that keyword is not a good idea. 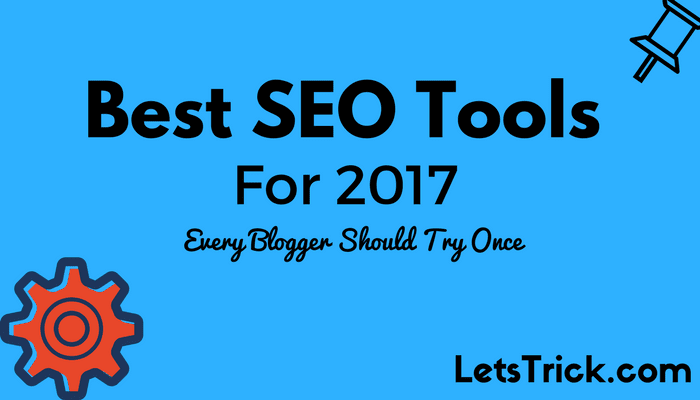 These awesome features makes this tool one of the top SEO tools every blogger should use. You should check this ultimate guide to use SEMRUSH to boost your traffic. Linkio is a powerful link building management software that will help you plan your strategy and set up impressive link building campaigns. Its also pretty easy to use: once you import your previous backlinks, your competitors’ data and your preferences (based on your target, your industry etc), it will provide you with a competitive anchor text planning + percentage and with suggestions on what exactly needs to be done to boost your backlink profile. Full Market Share Data - A full market share data helps in knowing recent trends and market share each categories have. Technology Alerts - This feature helps you to monitor the type of technology different sites uses. Website vertical information - You get the vertical information for 1.5 million websites. Keyword Density Tool - It shows the density of specific keywords in the article. It also shows which keywords are used as an anchor text, and the no: of times the specific anchor text is used. Link Accounting Tool - It allows you to see the no: of inbound and outbound links present. Metadata Tool - This feature helps to review the meta description and title of a web page. Meta description plays an important role in click through rate, a well curetted meta tag will spontaneously get the reader's attention. Source code tool - Helps to access your HTML source code easily. Hootsuite is social media management tool. A survey conducted by Pingdom (monitoring tool) shows that 20% of companies uses Hootsuite to manage their social media. The most compelling reason why people use Hootsuite is that it allows us to manage multiple social accounts. The free version of Hootsuite allows us to manage 3 social accounts effectively. For managing more accounts we should opt the premium version. Hootsuite also allows you to delegate work to different people. Consider you have got 300 tweets in a day, in-order to effectively respond to those tweets you can assign each individual in your team to respond back. Hootsuite also sends weekly analytics reports through email. The report contains information related to no: of clicks, Top referrers, Geographical information of people clicking, etc. SEO Moz is a great tool used to compare backlinks with competitor URL’s, track rankings, analyze your social media followers, to identify crawl errors, perform keyword analysis. 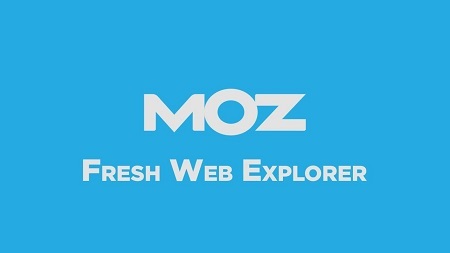 Fresh Web Explorer, released by SEOMoz pro looks for brand mentions of you on the internet. 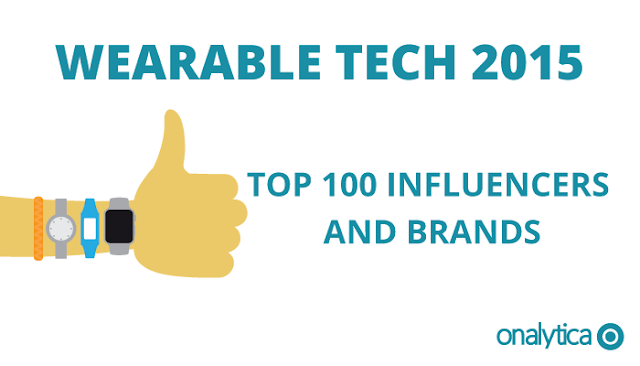 Every time the brand is mentioned it notifies you instantly making it easier for you to engage in the conversation. Optimizely is a tool widely used for Multivariate testing and split testing (A/B testing). With this tool, you can compare different landing pages and analyze what works better in terms for providing better user experience and how A/B testing helps to ameliorate conversion. The installation process of Optimizely is really simple, the only thing to do is to paste a snippet of codes into the website source code. Once the codes are pasted, Optimizely will start to collect data regarding the no: of people visiting your website and their behavior on your website. The data is then made to run through Optimizely state engine, which will in turn give us the report on which variation of landing page is performing well. It makes the information more appealing. The creative use of graphs, paints, images, etc will make it more appealing for readers. The images will look more persuasive and stimulates one’s interest. I personally use infogram to create infographics for my blog and I love it. Infogram is really one of the best free SEO tools we can use right now. The main objective behind creating an image is to drive traffic to over website. With this tool, you can hyperlink an image. ThingLink is an easy to use tool. Upload your image to ThingLink then you can put your icon (which can be hyperlinked) over your image. So whenever someone tries to hover over the image it will allow them to visit your website. It is necessary that you should maintain a good relationship with fellow bloggers and influencers. Onalytica is end to end influencer marketing software. Getting endorsed by an influencer is one best way to reach out millions of people. Find the right influencer is crucial, find someone from your niche. So that you both shares a common audience. These are some of the important SEO tools recommended by Edigitalmarketing.in, one of the most reputed SEO Companies Bangalore. In case you want to know more about SEO tools, you can connect with them directly by visiting their website. Influencer Feed - This helps you to remain updated about your key influencer. Network Map - It helps you know who talks to whom and to make better relationship with influencers. 12. Real Time Alerts - Gives to real time notification of the influencers tweet, shares, etc. To sum up, Stats published on imforza.com clearly says that 70-80% of internet users tend to ignore the paid ads and click on organic links. This clearly highlights the importance of why you should start using the above mentioned Top SEO Tools to drive traffic to your website. Why waste time when you can smart work these tools and get better search visibility. These are the best SEO tools or top SEO tools we should use. If you still have any doubts then please feel free to ask in comments below. Tell me which tool you love the most or if you want to suggest more tools then please let me know in comments so that I can add it in my list. Author Bio: This is a guest post by Nishant Maliakel Oommen. A dreamer with a penchant for outdoor running, content creation is one of Nishant's forte. He thrives in challenging environments and is adroit in inbound marketing. His technical education and experience have enabled him to turn creative thoughts into written reality. If you wanna know more about him then join him on social media from here LinkedIn, Facebook and Twitter. I guess I have used few of the seo tools mentioned in this post. But will also check the missing ones. Well majestic is my favorite tool among all the listed ones.